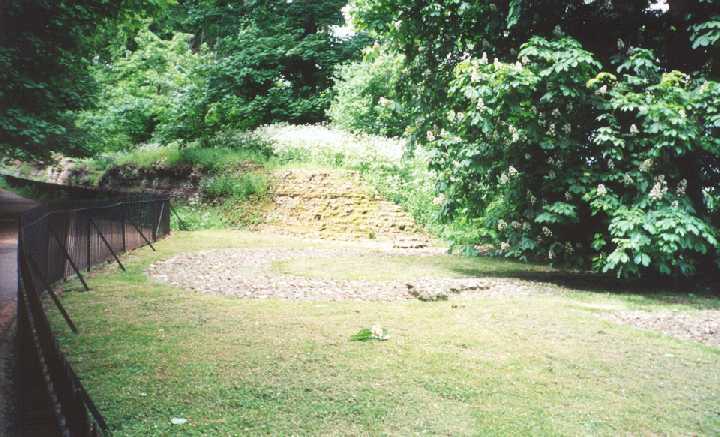 As a major center, Verulamium was rather large. We walked from the park where the outer wall was located to the theater, which was on the other side of town, the distance was well over a mile. In the park, several fine ruins can be seen up close and personal. 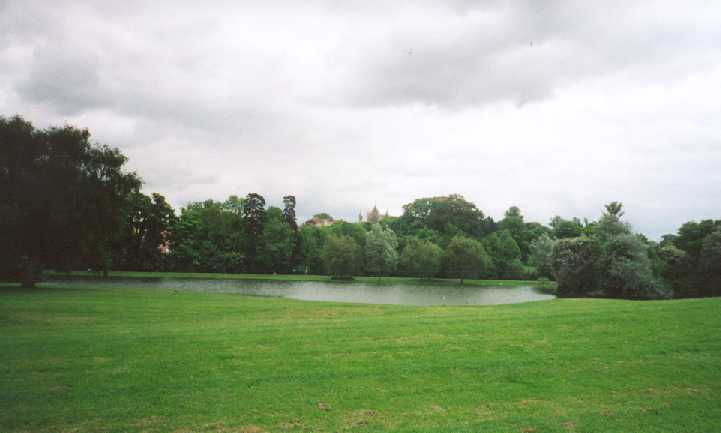 This is the St. Albans public park. The park is quite large, at least by American standards. 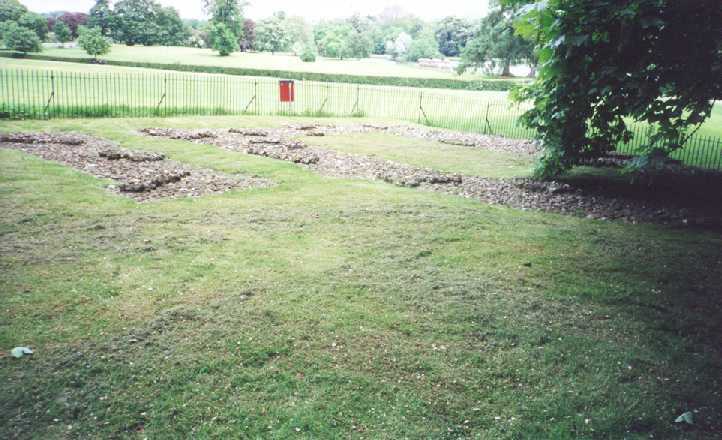 Scattered throughout the park are several sites where remains of the Roman city of Verulamium can be seen. 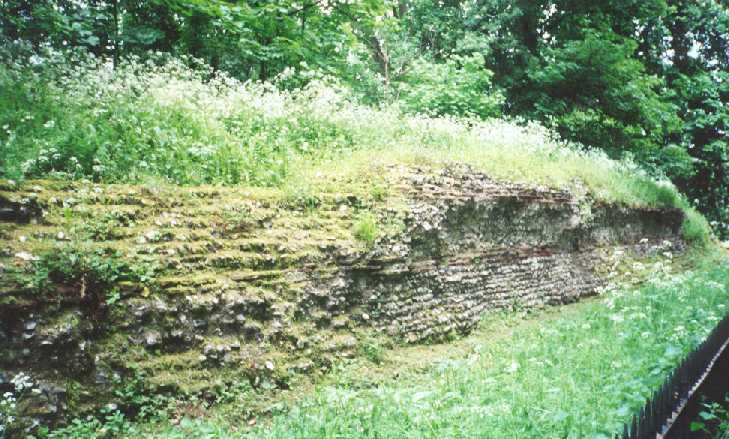 At one end of the park, there is a long stretch of the original wall of Verulamium, originally built about AD 79 and rebuilt in the 3rd and 4th century AD. This wall was once much higher, and served to protect the citizens of Verulamium from the barbarians that sometimes roamed the countryside. Another shot of the wall. When this wall was built, it was over 15 feet high, and 10 feet thick. It must have been very imposing to any potential invaders! 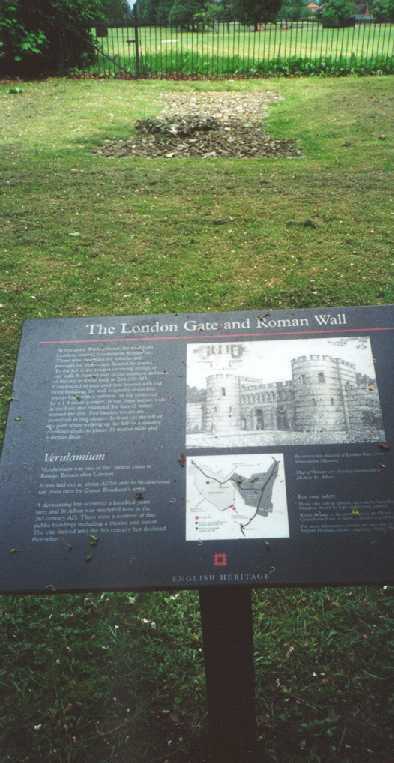 Another excellent feature of the walk along the wall is the London Gate. It is called the London gate because it was through this gate that travelers left Verulamium for Londonium, or modern day London about a day's travel away. This shot shows the foundation of one of the two watch towers straddling the road leading into the London Gate. From these watch towers, Roman centurions could watch for travelers that would need to have the gate opened, or for barbarian hordes that would attempt to sack the city. This is the foundation of the other tower. This shot clearly shows the shape the tower had. It was curved on the side facing the outside of the city. 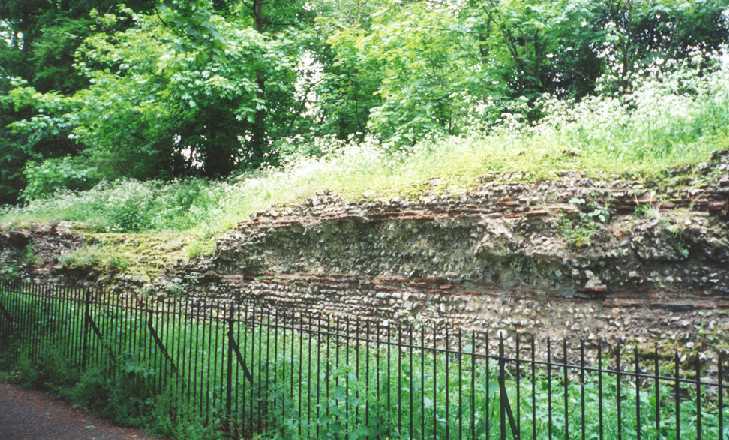 About 200 feet from the London Gate, toward what was the center of Verulamium, is the Hypocaust. 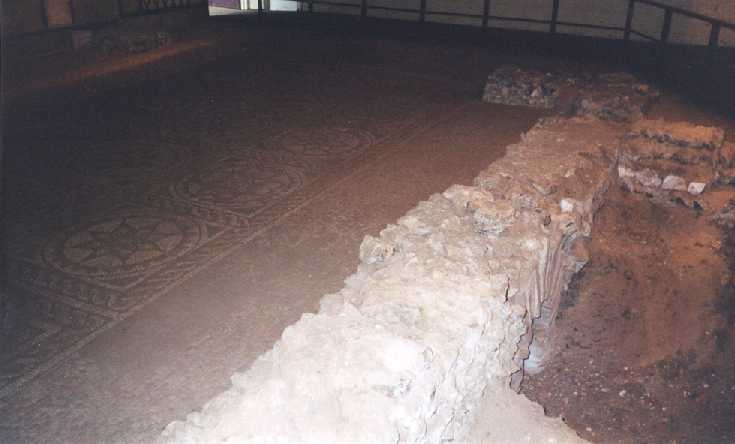 A hypocaust was used to heat the homes of the citizens of Verulamium. Air was heated by fireplaces, and circulated under the floors, which were raised up on stacks of bricks. It was kind of like radiant heat is today. 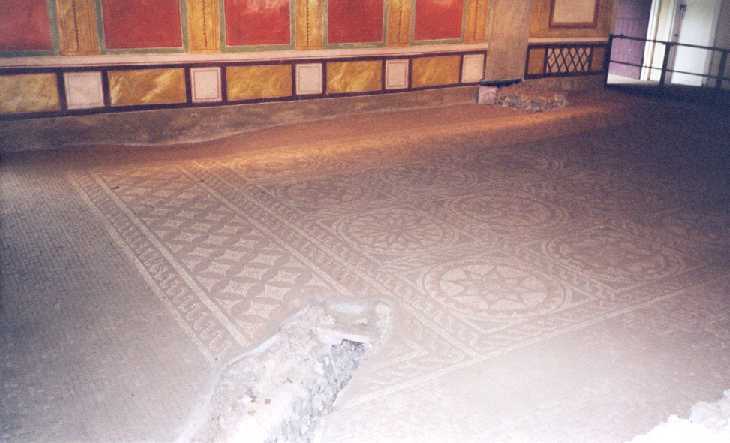 This particular hypocaust is very well preserved and has a beautiful mosaic. This edge of the Hypocaust shows the entrance that the hot air used to get under the floor. You can also see part of the mosaic.